WASHINGTON — Convicted American spy Jonathan Pollard could be released from federal prison within months. 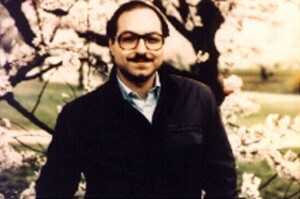 Pollard becomes eligible for parole in November, on the 30th anniversary of his arrest on charges of selling classified information to Israel. U.S. officials say they’re unlikely to oppose his parole. Supporters of Pollard, a former U.S. Navy intelligence analyst, argue that he was punished excessively and note that he spied for an ally. The U.S. has previously dangled his release, including during Israel-Palestinian talks last year. His release now could be seen as a concession to Israel, which strongly opposed the just-concluded U.S. nuclear deal with Iran. Left: Jonathan Pollard, seen in this undated photo prior to his arrest, becomes eligible for parole in November, 30 years after his arrest on charges of selling classified information to Israel.